What Will Happen When Thailand's King Bhumibol is Gone? 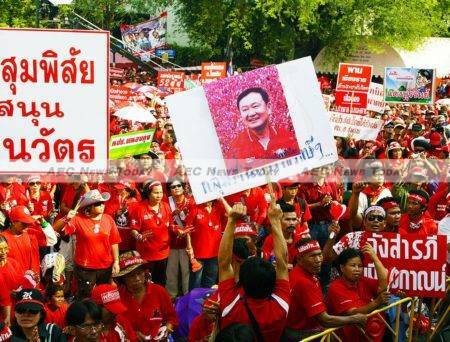 Back in February 2005, Thaksin Shinawatra’s Thai Rak Thai (TRT) was re-elected with a bumper majority. But as Thaksin consolidated ever more power his opponents became anxious. The Democrat Party worried that it would never again control the levers of government as the outspoken telco billionaire effectively monopolised the political process. His influence on military and bureaucratic promotions hinted that he would not stop until all key positions were held by his trusted aides. In the lead up to the 2006 Thailand coup Thaksin was targeted by a chorus of self-righteous outrage. But Thaksin must still have felt confident. Many had suggested that Thailand’s heavily politicised armed forces had ‘returned to the barracks’ for good. We now know that such talk was premature. For almost a decade Thai politics has been caught in a seemingly limitless spiral of push-and-shove between Thaksin’s supporters and those who backed the 2006 coup. 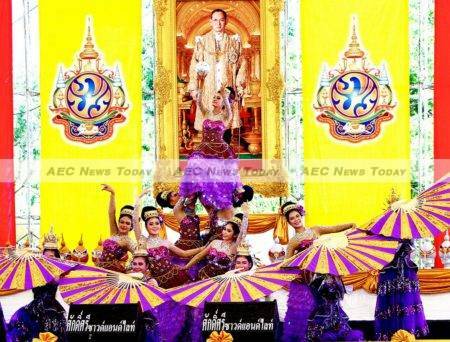 But the deadlock has more to do with the Thai palace than the politics of Thaksin’s democratic rise. Since the May 2014 Thailand coup that brought General Prayuth Chan-o-cha and his military machine to power there have been few indications of a quick return to electoral protocols. Even under military rule there are clear signs that any loosening of draconian internal security procedures would lead to a quick resurgence of pro-Thaksin politics. 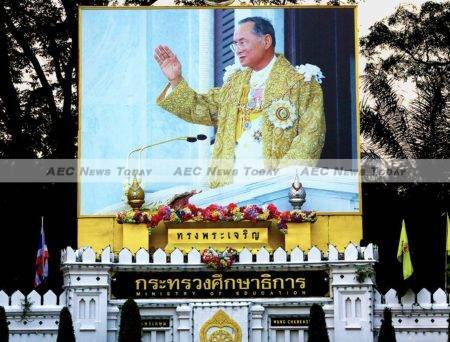 But the fundamental worry is about what happens when King Bhumibol Adulyadej (Rama IX) is no longer on the throne. Everything else pales in comparison to this potential crisis. For almost 70 years King Bhumibol has been at the centre of national life. 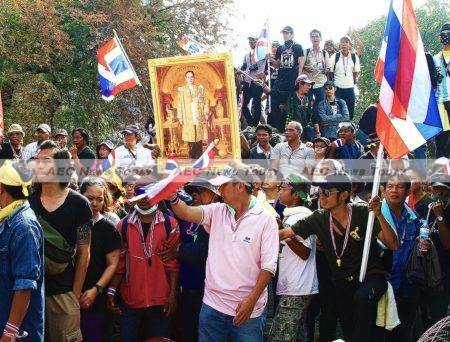 Almost every hour of every day the Thai people absorb messages about his contributions and the special status of his family. The armed forces have also worked tirelessly to keep the king on the throne. Whenever other military factions have sought to undermine royal standing they have been promptly stamped out. General Prem Tinsulanonda, chairman of the king’s privy council, has surrounded the king with retired officers who form a protective ring around a man whose fragile health is fading. Yet the conversation about succession cannot happen in public. The use of the lèse-majesté law, Article 112 of the Thailand Criminal Code, and the Thailand Computer Crimes Act — another tool in the repressive armoury — mean that any hint of palace-related criticism can lead to a spell in prison. Whether royalist or republican there is agreement on one thing: there is no obvious or unanimous path back to more representative or participatory government. Nor is there any indication that General Prayuth is tiring of his time as prime minister. Back in 2006 the military rulers under the leadership of General Surayud Chulanont took only 15 months from coup to election. The lesson has likely been drawn that this is insufficient time to do a full job of dismantling Thaksin’s influence. The fact that Thaksin’s sister, Yingluck Shinawatra, was prime minister from 2011 to 2014 only serves to reinforce the generals’ sense of having to start all over again. 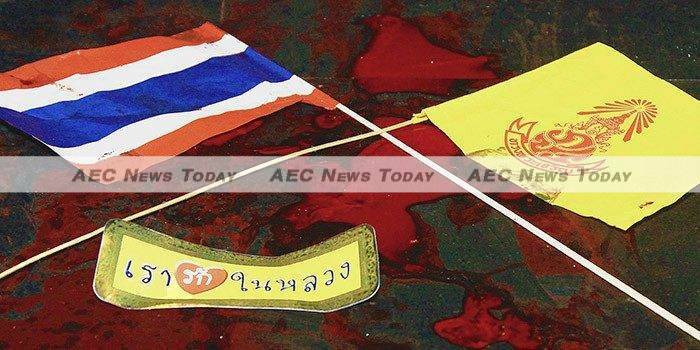 De-Thaksinisation, this time around, will take more time. Yet it is precisely this winner-takes-all approach to statesmanship that has created the conditions for a decade’s worth of grief. This can be measured not just in the blood spilled, careers destroyed and buildings burned, but in the immense loss of opportunity that the country has suffered. The rest of the world has not been standing still. Across Southeast Asia some countries have begun to take big strides towards closing gaps in development with their Thai neighbours. The most obvious example is Myanmar, which has made moves towards normalising its internal and foreign affairs since 2011. This does not mean that Myanmar enjoys Thailand’s economic or cultural heft, but there is certainly the potential for the country to make significant moves in that direction. Much will hinge on the performance of its government after the November 2015 election. As Thais well know, a democratic system takes decades to fully bed down. General Prayuth and his opponents are stuck, all waiting for the inevitable transition when King Bhumibol is no longer on the throne. 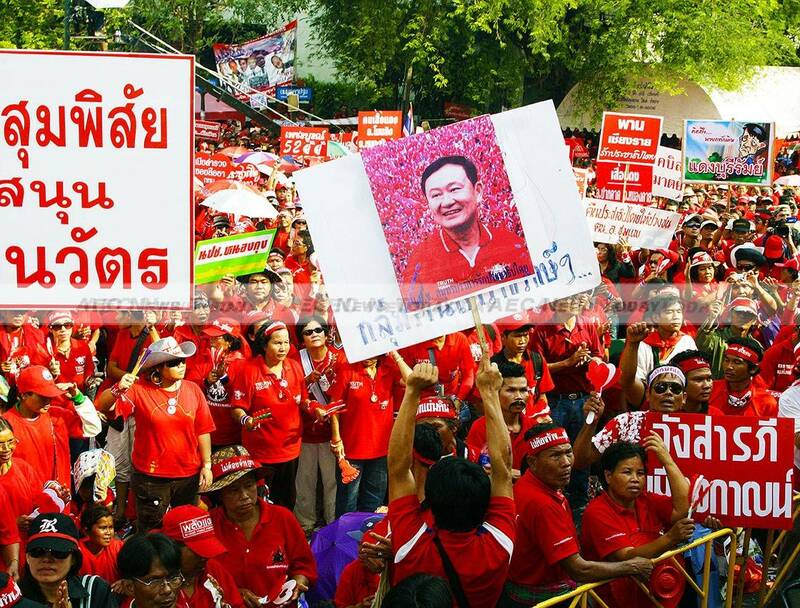 Many millions still also wait for Thaksin’s return. 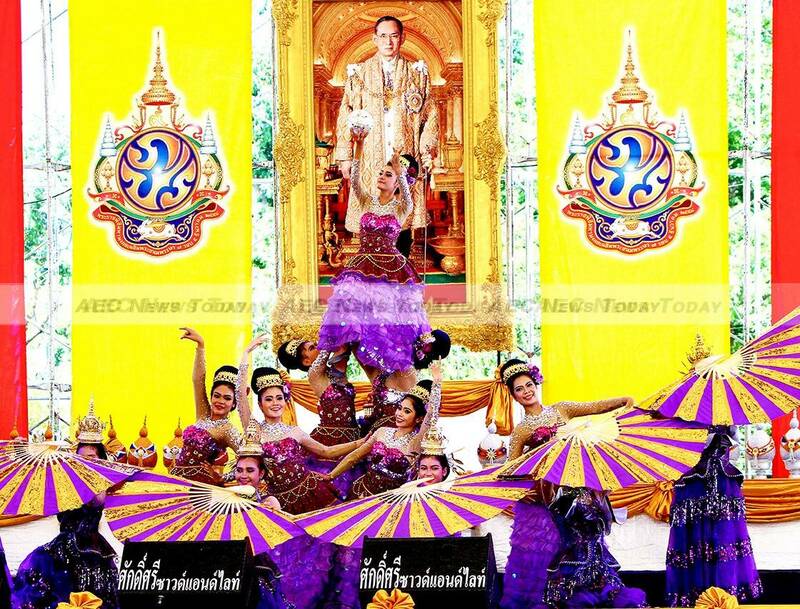 They do not tend to believe the charge that Thaksin seeks to overthrow the monarchy. Some even wonder whether he might not prove its greatest saviour, perhaps returning triumphant to support a future king or queen. We tend to expect that we can understand alliances in ways that mean they will stay constant across time. But Thailand’s topsy-turvy last decade suggests that there are too many different factors at work and that a violent showdown could be catalysed by the succession. Under these conditions the Thailand military will be forced to decide whether it ever wants to return power to the people. Written by Dr Nicholas Farrelly, a fellow in the Bell School of Asia Pacific Affairs, The Australian National University. This article first appeared on East Asia Forum under a Creative Commons license and is reproduced here with its permission. An extended version of this article was published in the most recent edition of the East Asia Forum Quarterly, ‘Asia’s Intergenerational Challenges‘.